Lines open in 1 hrs 13 mins. Panorama T4 is the first controller to deliver Nektar-level instrument plugin control in any VST/AU compatible DAW. Load patches directly from the keyboard and start controlling parameters immediately, with every change instantly visible on the LED display. Control any instrument plugin with one of the many included maps or customize and create your own. 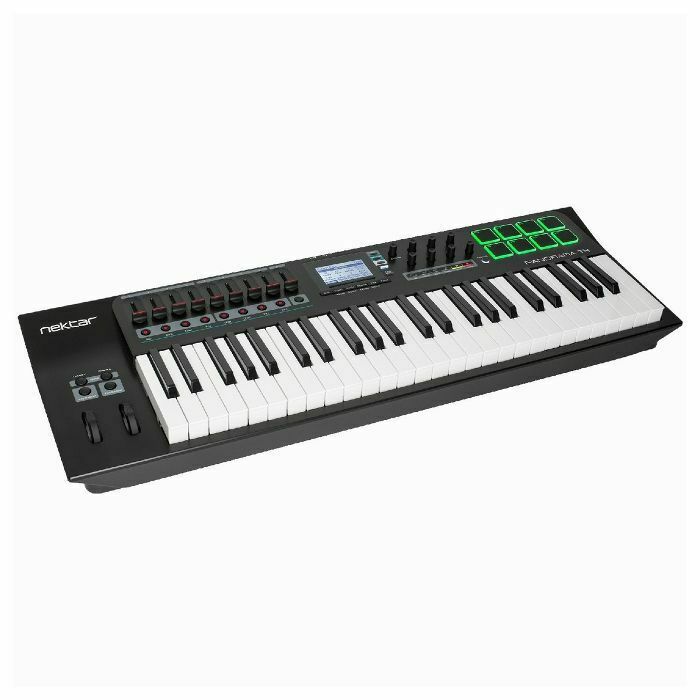 Discover new performance tools like the powerful chord, hold and note repeat functions. Tweak repeat parameters, plugin parameters and record it all in your DAW. Panorama T4 connects to most DAWs delivering track navigation, mixer and transport control with either Nektar DAW integration or MCU compatibility. Experience the unsurpassed integration of Panorama T4! 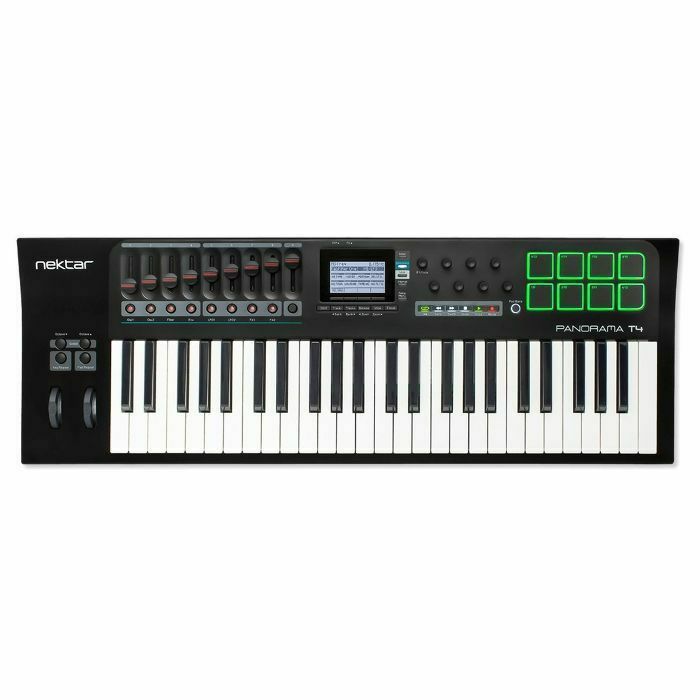 Panorama T4 features a 2nd generation Panorama synth-action keybed. Dampened and carefully balanced across the keyboard with medium tension, which means the activation force required is in the middle of the range established for professional keyboards. Five velocity curves shift the emphasis from soft to hard, giving enough choice to cater for any playing style. A fixed option enables velocity values to be set by controls, including the wheels. Designed with finger drumming in mind, Panorama T4's 8 large velocity and pressure sensitive pads are the perfect tool for beat creation. Triggering at an extremely low threshold, they will capture ghost notes and flams as easily as you can play them. If the factory settings are not expressive enough for you, it's even possible to calibrate each pad individually for optimum performance. Bitwig 8-Track is included with every Panorama T4. So you can start producing, performing, and designing sounds like a pro from day one. Bitwig 8-Track gives you access to over 50 software instruments and effects for use on up to 8 audio or MIDI project tracks, and you can use any 3rd party VST plug-ins you might own, too. The 'Bitwig Essentials Package', a highly versatile handpicked selection of loops, clips and samples, is also included to help you get started. So put all that together and you have a powerful sketchpad for your musical ideas featuring the acclaimed workflow of Bitwig Studio.